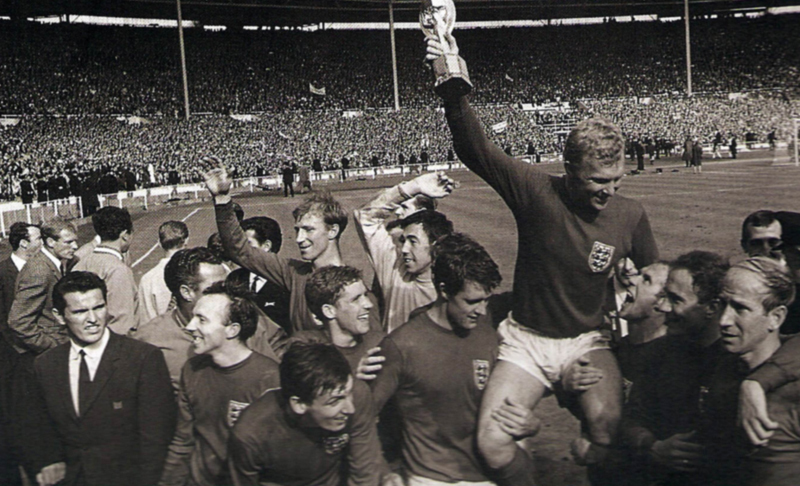 Flowers is seen near the left in the background of a photo taken during England’s unforgettable 1966 celebrations. We kicked off our month of World Cup-themed posts with one about Ron Flowers and now sign off with a happy story surrounding the brilliant Wolves wing-half. 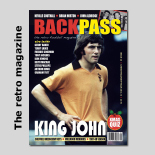 How else could we close this particular chapter in our output other than by harking back to 1966 and all that for some memories to put us in the mood for Sunday’s final between Germany and Argentina. England beat both nations 48 years ago, of course, although we are stretching a point as the European nation were then West Germany rather than the united one. And it has been well recorded over the years that Flowers, having not played regularly for his country for several years, went close to a dramatic call-up for the big showdown at Wembley after Jack Charlton reported feeling unwell the night before. As we well know, the Leeds man recovered in good time and his would-be replacement was a Northampton player in a year or so as he called time on a Molineux career that leaves him still in the top five of Wolves’ all-time record appearance makers. As familiar as we all are with the venues in Brazil, it’s a time to wonder how many of them we will recall in a few months’ time, especially among those who may be surprised at being reminded that Middlesbrough’s Ayresome Park and the 76,000-capacity White City were among the grounds used when the tournament was staged here. There were only 16 teams in the final stages then and our claims to be the centre of the football world were underlined by the fact that the average attendance were the highest at a FIFA competition anywhere until the United States hosted in 1994. And how about these for oddities? Our semi-final victims Portugal had never previously qualified for the tournament proper and would not do so again until competing in Mexico 20 years later. Our 4-2 victory over the West Germans was the last time the final was televised in black and white and it was significant that both performed decently again in Mexico in 1970. The beaten 1962 finalists Czechoslovakia didn’t make it to England next time round, nor did the Yugoslav team defeated in the semi-finals..
Much remains said about the balding Russian linesman who signalled that Geoff Hurt’s shot crossed the line for the first goal of extra-time but how many readers can recall the nationality of the referee? He was from Switzerland (always a neutral country, after all) and was named Gottfried Dienst. 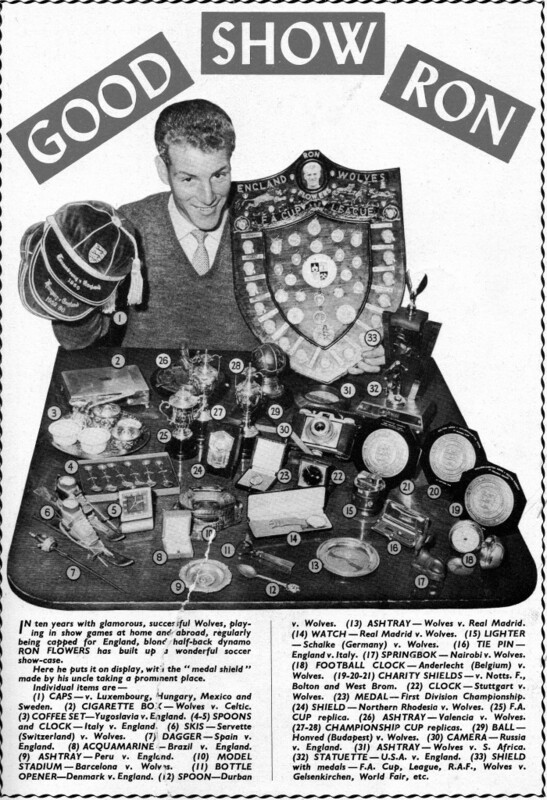 The journey to glory was a much shorter one in those days. England’s opening game was against Uruguay 48 years ago today (yes, we got the better of them in that era by finishing top of the group despite a turgid 0-0 head-to-head stalemate) and the final was less than three weeks later on July 30. 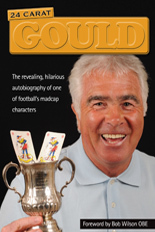 How he was portrayed in the football media in his pomp. Award yourself an extra gold star, too, if you could recall that the Soviet Union lost 2-1 in both the semi-final (against West Germany) and (to Portugal) in the match to decide third and fourth places. Flowers turned 32 in between the semi-final and the final, which leads us on to a certain mathematical conclusion……. Namely that he celebrates his 80th birthday on the 28th of this month. * Geoff Palmer, who met Ron on holiday on the Algarve early last year, is another with a milestone birthday in July. We wish him a happy 60th for today! Posted on: Friday, July 11th, 2014.